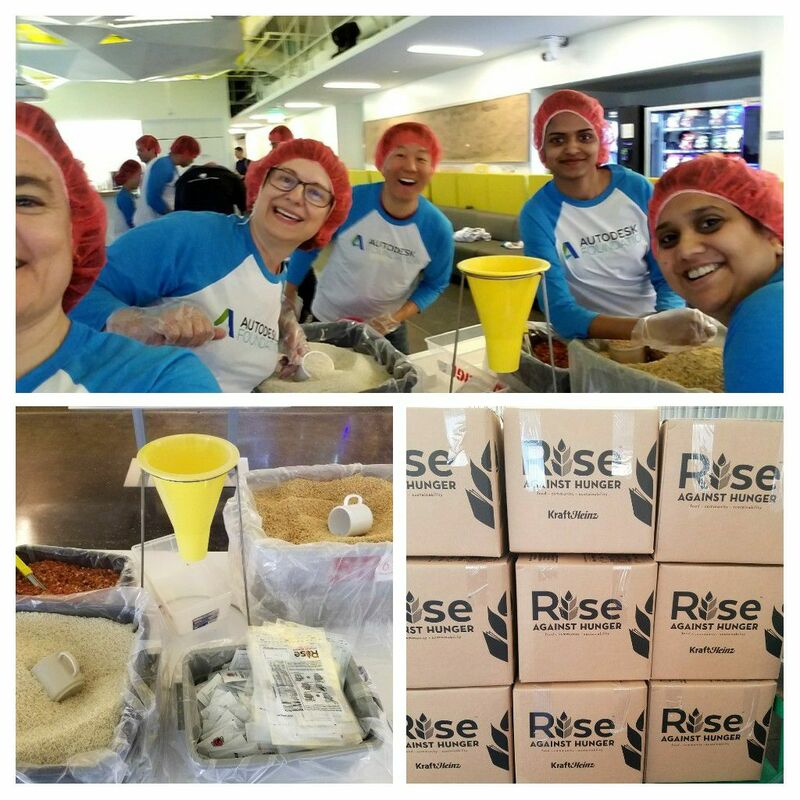 I learned about today's Feel Good Friday organization, Rise Against Hunger, when my office had a volunteer event last week packaging meals. Here's what I know. "Rise Against Hunger is an international hunger relief organization that distributes food and life-changing aid to the world's most vulnerable, mobilizing the necessary resources to end hunger by 2030." That summary from their website gives the basic details but you may wonder, why hunger? The short answer is that 792.5 million people in the world don't get enough food and nutrition to lead active, healthy lives. This video from the UN explains how ending poverty and hunger will help people around the world live up to their full potential. So, what role does Rise Against Hunger play? They've packaged over 300 million meals since 1998 and distributed them in 74 different countries. Last year alone 376,000 volunteers packed meals for over 1,000,000 people! Most of these meals are delivered to schools, and Rise Against Hunger uses distribution partners who are focused on promoting education and improving student's health and nutrition. This two-minute mission video shows you what it's like to volunteer and who is at the receiving end of the food. Rise Against Hunger also works with a network of in-country partners to provide crisis relief and income-generating agricultural initiatives. You can learn more here. If this sounds good, you can get involved by hosting a meal packing event, volunteering at one of their worldwide locations or donating money. You can also spread the word by liking their Facebook page and following them on Twitter @Rise2030. 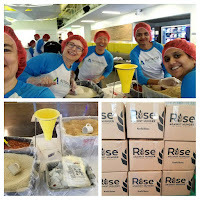 I had a good time volunteering with Rise Against Hunger (at least half of my face did) and you can too!